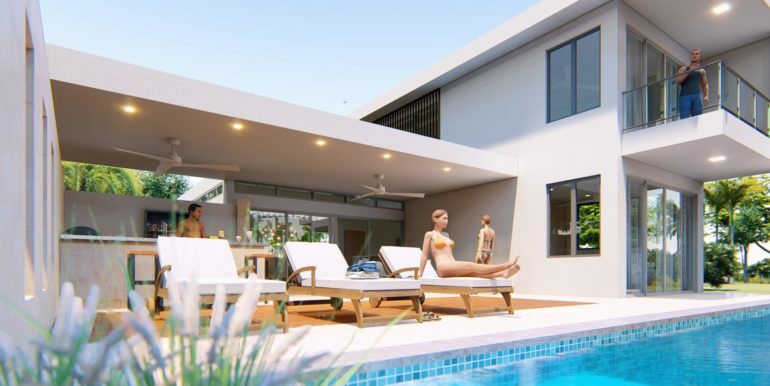 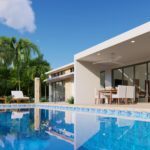 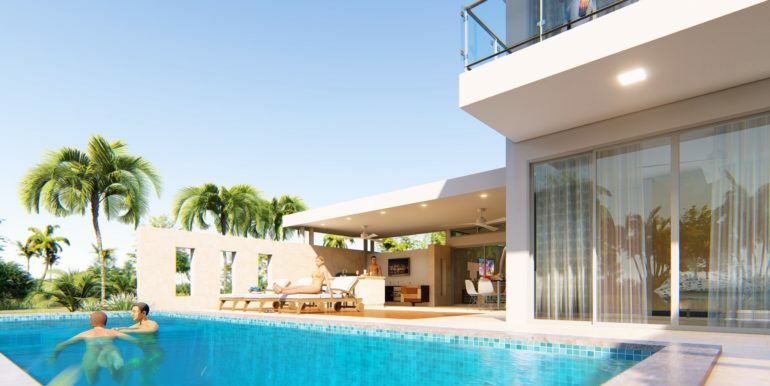 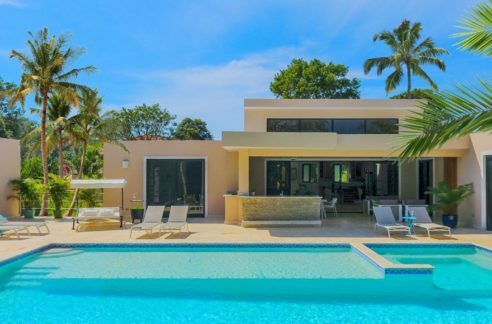 Born out of a new contemporary concept, this vacation house for sale is located between Sosua and Cabarete, within one of the top 3 gated communities in the North Coast of Dominican Republic. 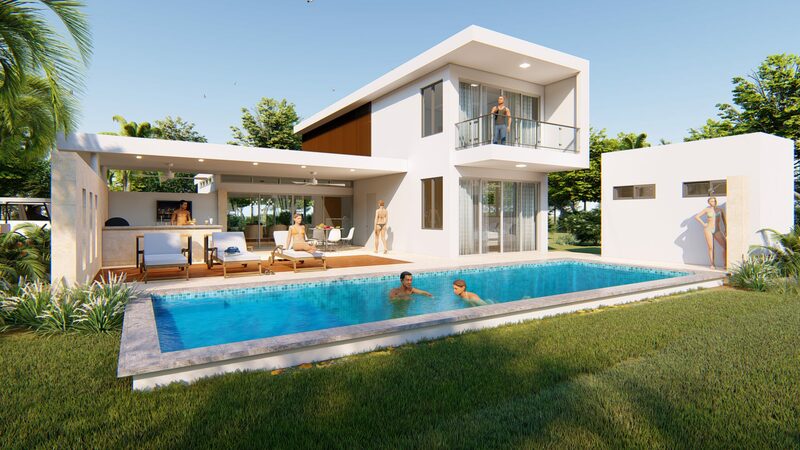 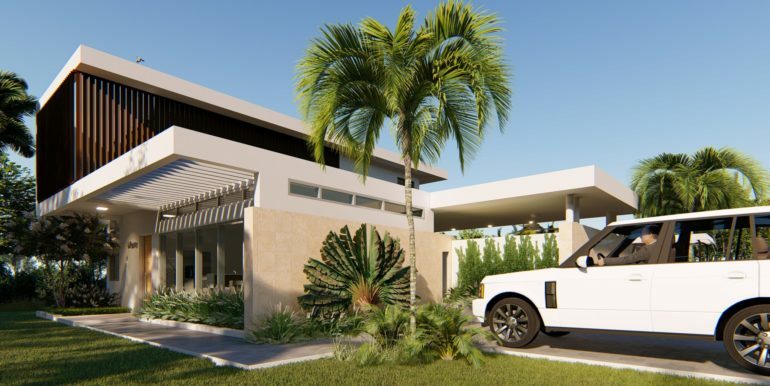 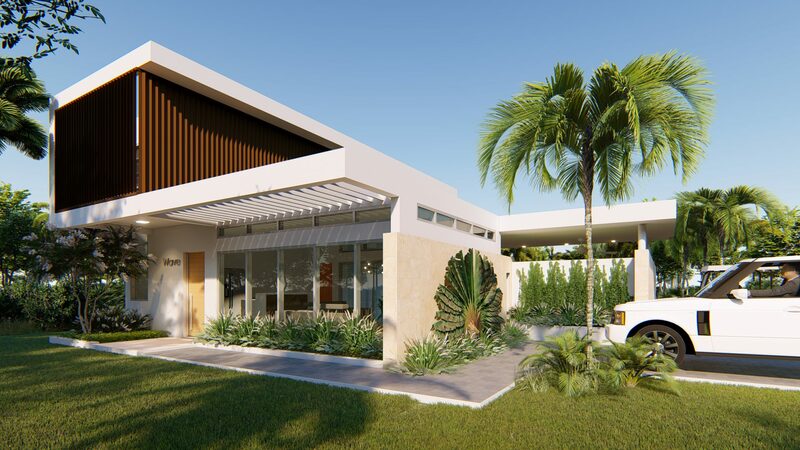 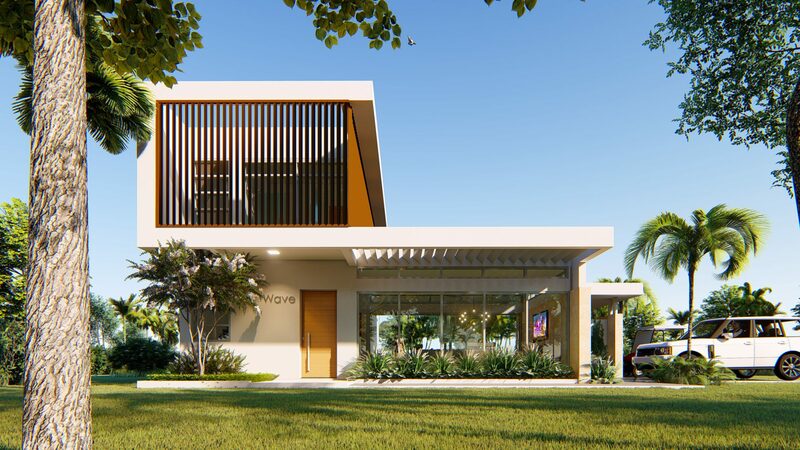 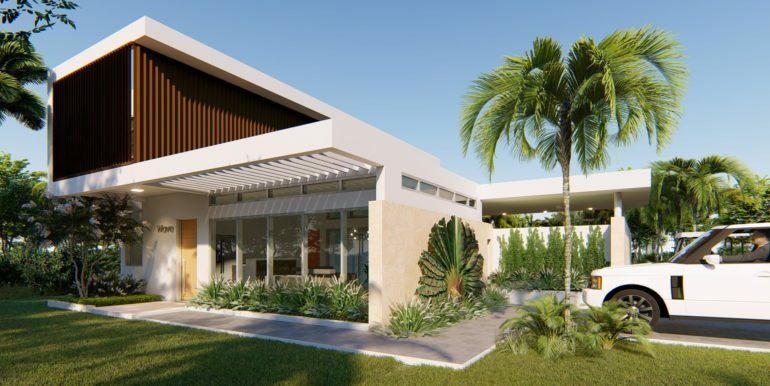 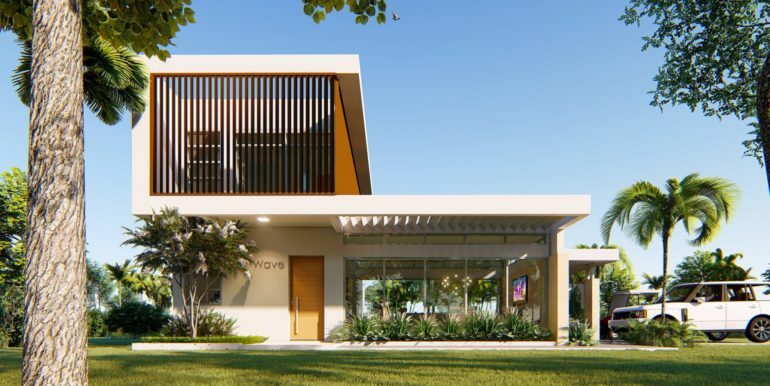 Its design is based with a laid back, vacation lifestyle in mind; a large covered terrace with dining and lounging area, outdoor kitchen with BBQ/ Bar and a private swimming pool with shallow ledge. 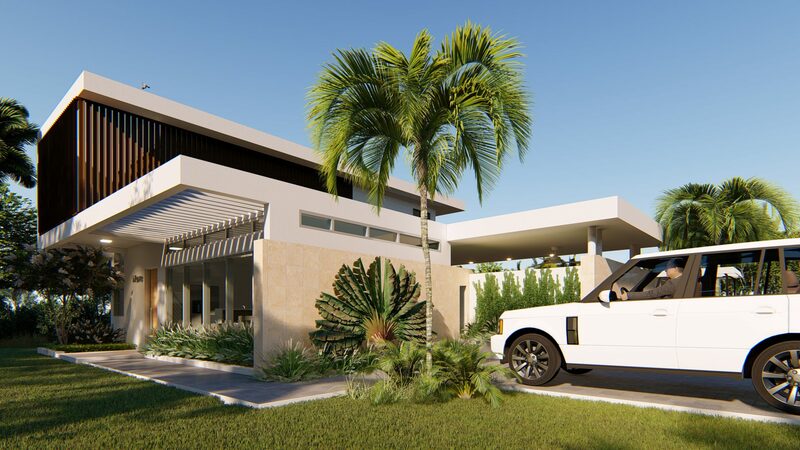 The first level has the living room area with open design kitchen, media area and a bedroom with bathroom The second level is all about the master suite with its own walk in closet and master bathroom. 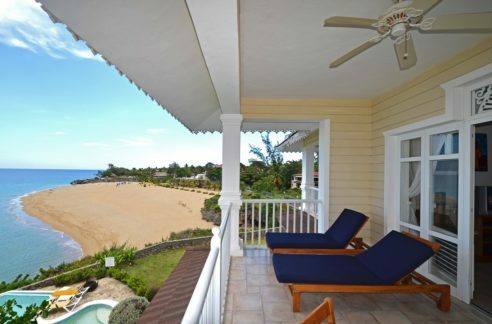 A balcony in the second floor is exclusive for the master suite as well. 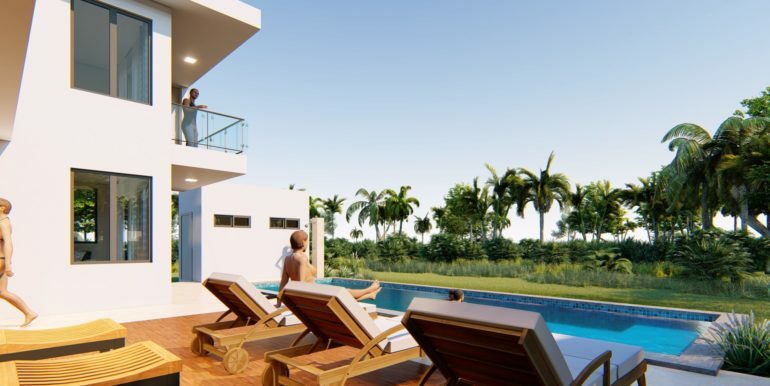 The 3 bedroom model has a size of 171.4m²= 1844.934ft² and land size of 600m²= 6458.346ft²; The community offers 24hr security, maintenance plan, maid service, and access to a rental pool if owner decides to rent to travelers. 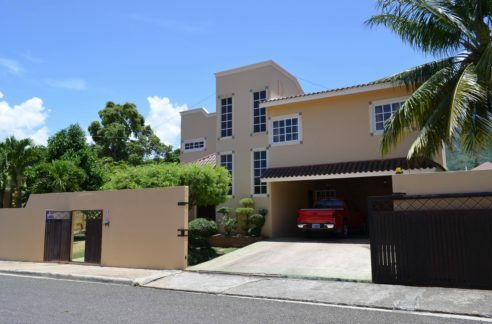 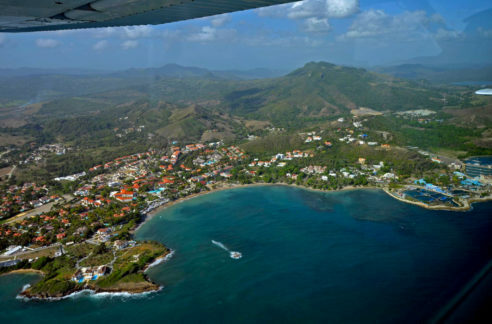 The villa location is about a 5 minute drive to Cabarete Beach and Sosua Beach. 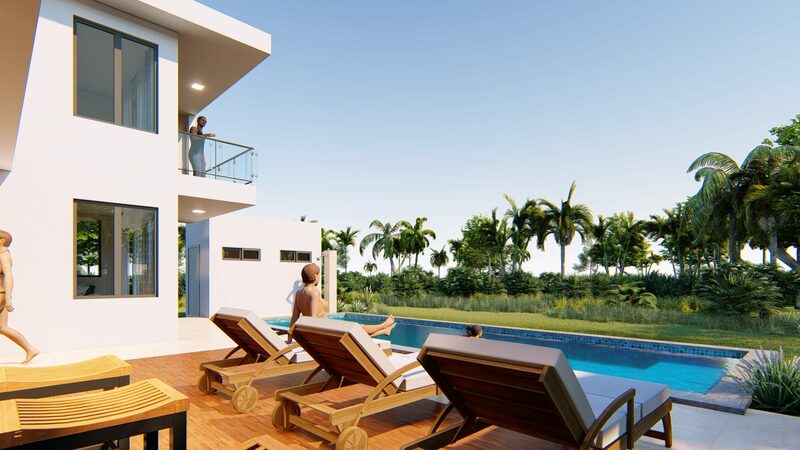 The price for the 3 bedroom model is US$239,700.0 and we also offer the 2 bedroom model US$223,750.00 with 152.5m²= 1641.496ft² in size.